Montefalco Sagrantino Passito is a sweet-tasting and intense expression of Umbria's perfumes and flavours, made exclusively with pure Sagrantino grapes. Matured for 15 months in French oak barriques, followed by another 12 months in the bottle. Intense red colouring, sweet and fruity nose: blackberry jam, strawberries, vanilla and cinnamon. 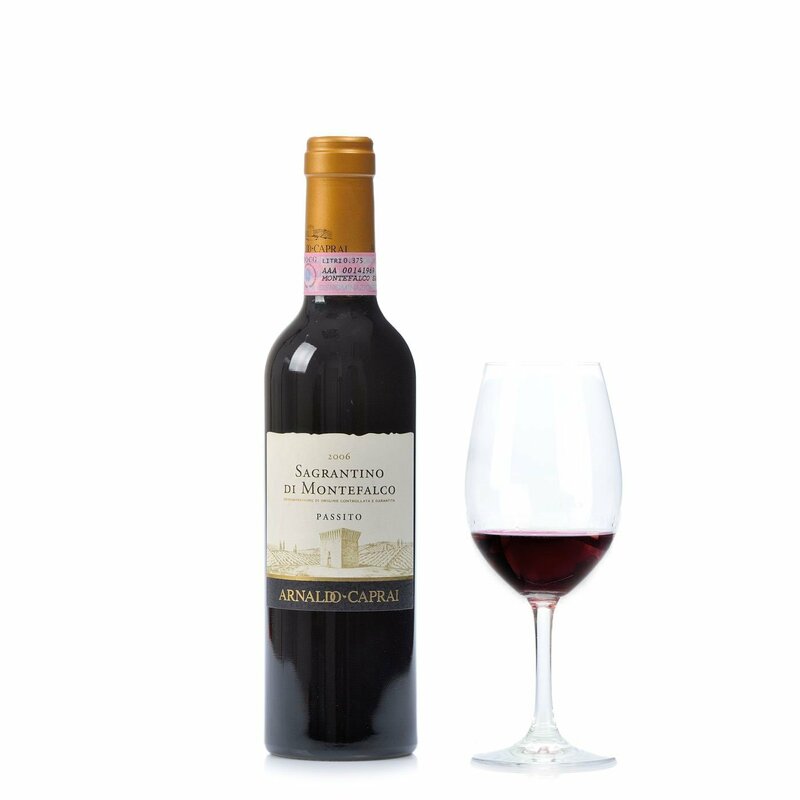 Warm, soft and intense on the palate, with sufficient tannins to adequately balance the levels of sweetness. Alcohol: 14.5% vol. Goes perfectly with traditional Umbrian desserts, including the famous tozzetti almond biscuits, and also with creamy or matured cheeses. The Arnaldo Caprai winery reinterprets Umbria's winemaking traditions in a modern perspective, adding innovative productive and management techniques. The aim is to create elegant wines endowed with strength and personality, motivated by an intense quest for quality and for reinforcing its Umbrian soul. The wine cellars are the heart of the company's activity, filled with barrels and barriques in Slavonian oak. In recent years this wine-maker has devoted great care to communicating an enriching image for its wine, associating it with art, poetry and technology, thus interweaving and integrating wine, culture and territorial identity.